7.The fishing bait boat can also show the battery electric charge of the boat, in order to avoid the boat from losing control caused by losing battery electric charge. 8.Standard color is camouflage & other colors could be choose as want in this form. 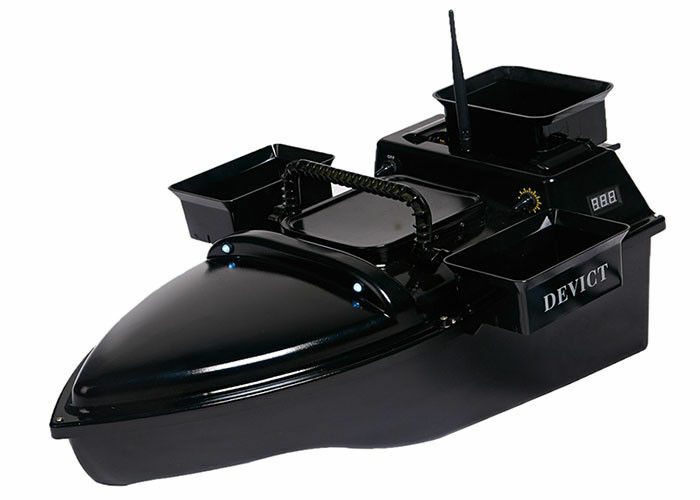 9.All DEVICT bait boat with digital battery level indicator. 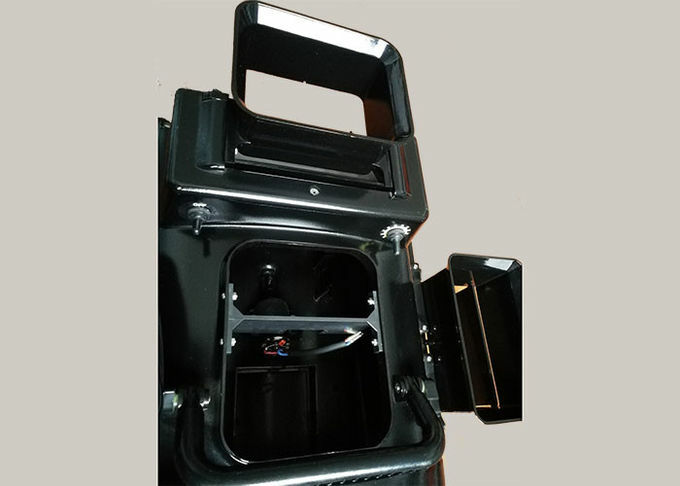 "Lead battery supply is standard and lithium for option"
The battery cover is very easy to disassemble, very safe and convenient for charging and maintaining the battery. 1. Make sure the battery is lead-acid battery or lithium battery, the charger can only be for two series lead-acid battery charging, not for a single lead acid battery recharged, in order to avoid charging voltage is too high, the battery is bad. 2. Do not charge lithium battery alone. 3. Charge the battery of the ship and remote control before use, and the first charge time must be over 8 hours. 4. If the battery is kept for a long time, please charge it once every two months. 5. Please charge the battery when the fishing boat is not in use. 6. Please do not place the battery in the sun and near the ignition source. 7. Please do not place the battery where the child is easy to get.